As promised, I’ve got a pretty cool virtual reality selfie to share in this post – but I’m not going to give it away right at the start. Instead, I’ll give it some context. Chairman and CEO of Facebook, Mark Zuckerberg, believes that virtual reality is the “next-big-thing”, so it was no surprise to hear about Facebook’s $2 billion acquisition of Oculus, back in 2014. 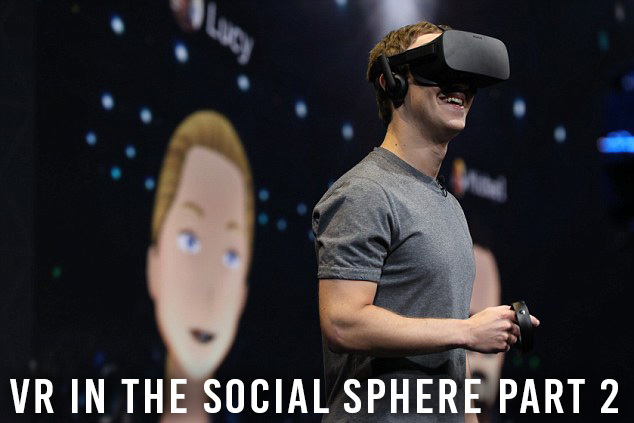 At the recent Oculus Connect 3 conference in San Francisco, he unveiled and demonstrated the first version of Facebook’s virtual reality software with the Oculus Rift headset. The new software creates the opportunity for people to come together in the same virtual space and do anything from sharing photos and videos, to being transported to the surface of Mars, just for a chat. 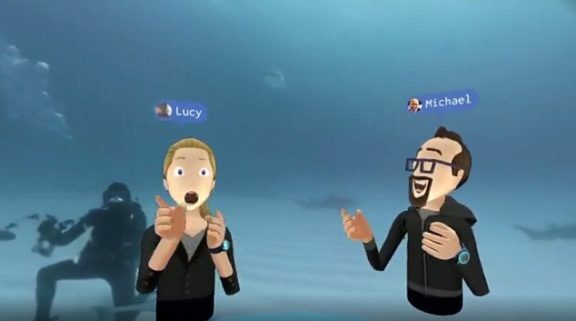 This shot from the conference shows the avatars of Lucy and Michael, who were chatting with Zuckerberg, placed into a virtual underwater scene as part of the demonstration. The avatars are a customisable digital representation of the user and by using the 3D Oculus Touch controller; users are able to change the expressions of the avatar to reflect emotions. 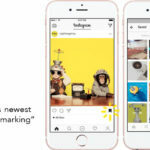 Facebook hopes that a future version will allow for facial and gestural tracking, along with voice analysis that can be integrated to achieve a natural reflection automatically. 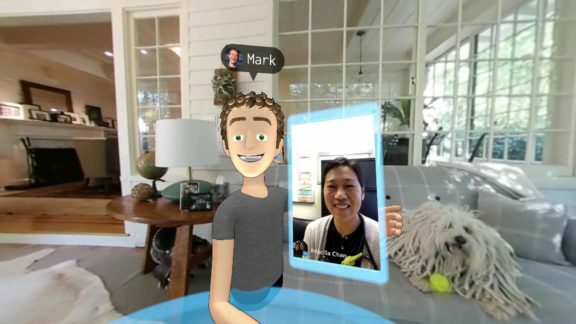 During the demo, Zuckerberg showed off several features including the changeable backgrounds, the ability to play games like cards and chess, being able to pull up photos and videos in real time and the potential to doodle something (for example, a sword) and play with your creation in virtual reality. I could waffle on about all the amazing possibilities Zuckerberg revealed in the demonstration, but a picture (or video in this case) speaks a thousand words. If you’re interested, check out the video below of the full demo from the Oculus Connect 3 conference. I’ll leave you with this gem from Zuckerberg: “The next phase of VR is building great software experiences, … We’re here to make VR the next major computing platform, and at Facebook, we’re really committed to this”.